Editors note: We’ll continue to update this page as more details about BTS’ Map of the Soul: Persona are revealed! For the first time BTS had their comeback stage in America, and it was also their first time performing on SNL! Not only was it a historic moment for them, but BTS also became the first Korean musical guest to appear on SNL. Seeing the choreography for “Boy With Luv” live for the first time, it was amazing to see how much fun BTS was able to have while putting on their stage. It looks like this one will quickly became a favorite for us on stage!! For their second song, BTS also brought a firey performance of their hit “MIC DROP”! On April 11 (April 12 in Seoul), Big Hit sent out a press release describing the upcoming album. Global sensation BTS will mark the beginning of a new story with the worldwide release of their eagerly awaited album MAP OF THE SOUL : PERSONA set for April 12, 6 PM KST. Having concluded their ‘LOVE YOURSELF’ series last year, the iconic band returns on a quest to find one’s true self. Woven seamlessly throughout seven brand new tracks, the EP is a nod to the band’s past while showcasing their maturity and new found understanding of love and the ever-widening world around them. The tracks have a clear message: finding joy in love and reaching out to the world. Their lead single ‘Boy With Luv’ – which Grammy nominated and chart topping singer-songwriter Halsey lends her vocals to – parallels their past teen anthem ‘Boy In Luv’ from 2014. While the band’s prior release talked about young love, ‘Boy With Luv feat. Halsey’ is about how true strength and love come from finding joy in the smallest things in life. Another exciting collaboration comes with Ed Sheeran in the form of the delicate track ‘Make It Right’. RM’s solo piece ‘Intro : Persona’ asks the fundamental question ‘Who am I?’, while ‘Mikrokosmos’ paints the world through human interest. In ‘HOME’, BTS finds refuge where their fans are. ‘Jamais Vu’ is a unit song by j-hope, Jin, Jung Kook and ‘Dionysus’ blasts signature BTS hip hop beats from start to finish. As global superstars who play stadiums, have addressed the UN and initiated an unprecedented international campaign ARMYPEDIA, BTS now looks to shape the future reflecting on and using the power they have gained while embracing all its shadows. The band will make their TV performance premiere of the new lead single on SNL on April 13. They’ll be embarking on a stadium tour across the globe starting May. If you’re wondering where the inspiration came from for BTS’ new album, just check out Jung’s Map of the Soul. Big Hit had the book sitting in their online shop right in front of our faces for quite a while without any of us realizing it was a clue for the new album. It’s quite possible that BTS will make this into a trilogy much like the Love Yourself albums. Map of the Soul: Shadow and Map of the Soul: Ego could be coming our way next. It’s also widely believed that we’ll see many references to past material from BTS, as already seen in the first comeback trailer! Not only will this allow BTS to throwback to past concepts, but will also show how they’ve grown and evolved over time. As the band members have basically grown up in front of the public eye, they’ve naturally gone through many changes as they learned to deal with all the attention (negative and positive). It looks like we’re finally getting a BTS and Halsey collaboration!!!!!!! Halsey and the boys have had a long standing friendship built on a mutual respect for each other’s musical abilities. With all of Halsey’s talent this might end up being BTS’ best collaboration yet. We’re certainly anticipating hearing more! And for ARMYs unaware of Halsey’s history, she’s also a great collaboration because of her history of supporting the LGBTQ+ community (she identifies as bisexual herself) and also for shining a spotlight on victims of sexual assault. It looks like the hearts are back for the Map of the Soul: Persona album cover! 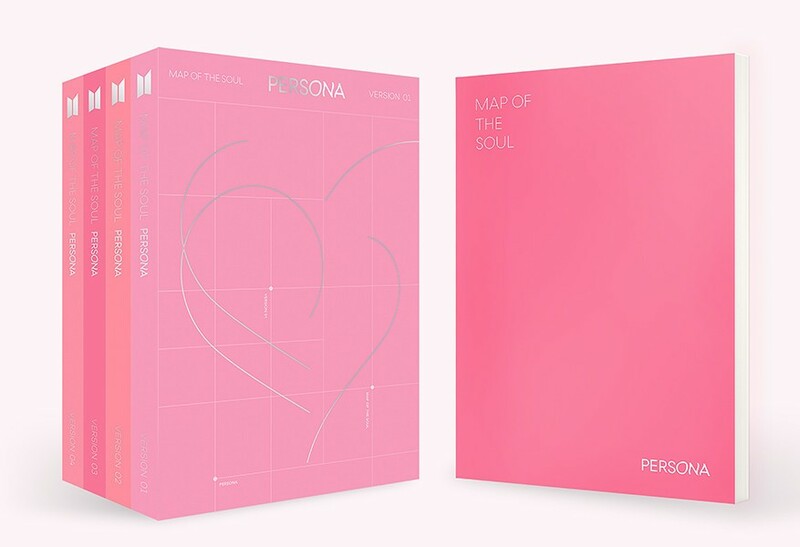 Much like the Love Yourself: Answer covers, the Map of the Soul: Persona album cover looks as though the heart was hand drawn. Though the lines of this heart disconnect rather than flowing together. And they also appear to have a gridline much like a literal map! It will be interesting to see what the dots on the Map of the Soul could mean! The Map of the Soul: Persona concept photos feature 4 different versions, as usual, which show off the many different personalities of the members. While some of the concept photos are more serious, others are playful and fun. There’s already many fan theories as to what the different versions could be inspired by, and some also wonder if the items within the images could also have hidden meanings as well. Such as the clothes that are in the background, and some of the things from the bathroom shots likes the toothbrushes which correspond to the colors from the 4th Muster. 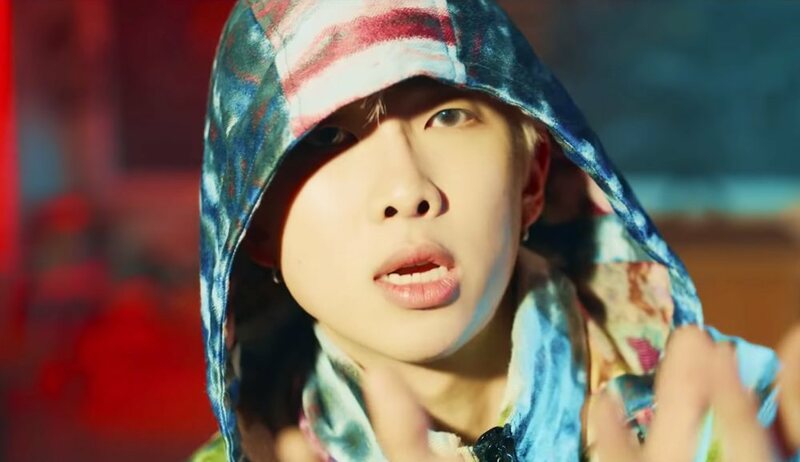 The first comeback trailer released features RM and what will likely be his solo song “Persona.” Right away, the comeback trailer references the Skool Luv Affair comeback trailer, as though a callback to RM’s younger self. It also features the rapper in front of a blackboard that’s been written all over, much like the music video for “NO MORE DREAM.” Of course, there’s references to Persona, Shadow, and Ego on the board. As well as actual quotes from Carl Jung! 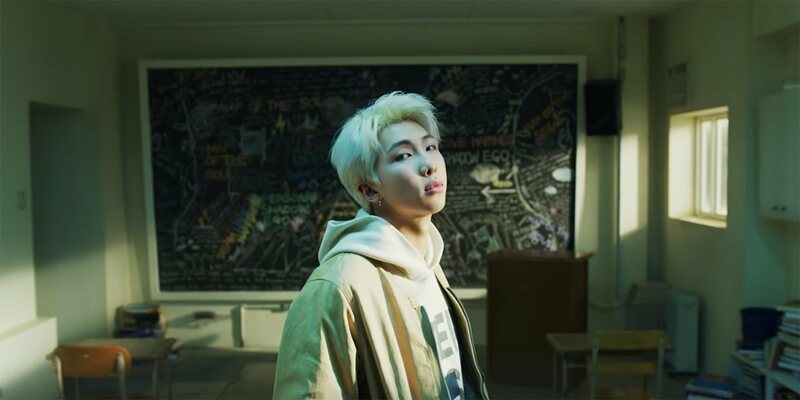 “Persona” also seems to go back to RM’s heavily influenced hip-hop roots and the lyrics deal with his continued search to find out who he is, even as others are quick to judge him. Are you ready for BTS’ new album ‘Map of the Soul: Persona’?